One University Park mom has figured out how to get food stamps while living in the lap of luxury. Who wouldn’t like some extra spending money each month? cash for those little treats at Whole Foods and Tom Thumb? Well, it can be yours with just a little effort. All you have to do is apply for food stamps. What’s that, you say? You live in the Park Cities and would never qualify? Hogwash. Just have a look at how 40-year-old University Park mom Janay Bender Rosenthal pulls it off. When Rosenthal applied for funds from the Supplemental Nutritional Assistance Program (SNAP) sometime before 2011, she had to prove she qualified for welfare. Information about individuals receiving aid is not publicly available, so we can’t say for sure what she told the Health and Human Services Commission (HHSC), which oversees the program. But public records indicate that Rosenthal must have been less than forthcoming when she renewed her application online in October 2012. Every six months, she has had to establish that she is still destitute. An HHSC Eligibility Department officer who would not provide his name confirmed that Rosenthal will receive $367 per month through April 2013. Assuming she has received that same benefit every month during the time she has been enrolled in SNAP, we figure she has received a cool $10,276. Rosenthal’s current driver’s license lists an old address on La Cabeza Drive, in Far North Dallas, a house within the boundaries of the district where she attended high school. The house is owned by a Robert L. Bender. According to an Eligibility Department officer, it is the same address contained in the HHSC database and sworn to on an affidavit of indigency that Rosenthal filed in Dallas County District Court on August 7, 2012. (Falsifying such a document is a felony.) But on February 22, 2012, in a divorce proceeding, Rosenthal filed a document under oath stating that her address had changed from a location in Irving to one on Bryn Mawr Drive, in University Park. That same address is listed as her child’s in a Highland Park ISD school directory. The 6,000-square-foot, five-bedroom UP house is on the tax rolls for $1.15 million. The Bryn Mawr house is owned by Michael Zidell, president of a real estate and construction business called Zidell Properties Inc. He is the head of household because he owns and lives in the house. 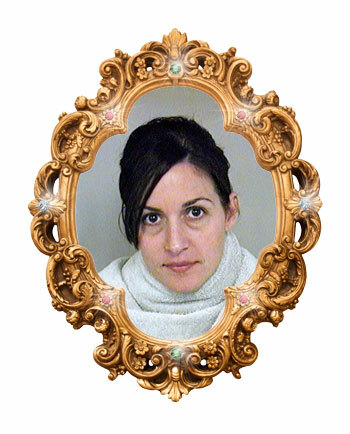 In a July 2012 police report, Rosenthal stated that Zidell was her fiancé. In a recent Facebook photo, Rosenthal can be seen wearing a diamond ring on her left hand, fourth finger. The SNAP application requires that applicants include the name, address, phone number, and signature of any person who gives you gifts or pays your bills, and the amount of money the person brings “into the home.” Rosenthal left this part blank, according to another HHSC officer. According to the Dallas Central Appraisal District, Rosenthal has a relationship to other households, too. Nine properties are listed in the name of her daughter’s living trust. Especially if you are your own boss. To receive SNAP benefits, applicants must be employed or participating in a work program. They must show bank statements and either paychecks or self-employment records. * According to Rosenthal’s August affidavit of indigency, at the time she had just $60 in a bank account, $50 in cash, no jewelry, and a 10-year-old Suzuki valued at $3,000. The affidavit also shows that the box marked “unemployed” was checked but then scribbled out. Instead, the “self-employed” box was checked. Her October SNAP renewal lists $135 in a checking account, according to the HHSC eligibility department officer, and $35 in expenses for the Suzuki. *Correction: An earlier version of this story stated that HHSC checks income and resources records only when a person first applies for SNAP benefits, not when they renew. That was inaccurate. HHSC makes these checks when a client renews benefits, too, which generally happens every six months.